The anticipation is growing for not just the NFL Draft taking over the Ben Franklin Parkway, but for who the Eagles will take with the 14th overall pick. Some of the Eagles selections have flourished, such as Carson Wentz, while others are no longer in the league. Take a look back at how the Birds’ first picks in the last 10 years have panned out. The future has arrived. 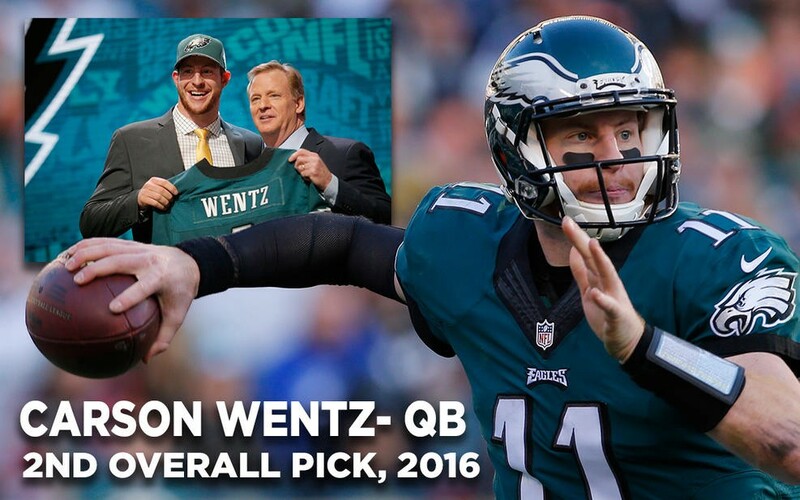 The Eagles traded up to select Wentz second overall, snagging their only 1st round QB since they took Donavan McNabb. Despite some growing pains, Wentz did not disappoint. The rookie led the Birds to a 3–0 start and finished the season with 3,782 passing yards with 16 TDs, setting the franchise record for most pass attempts by a rookie. 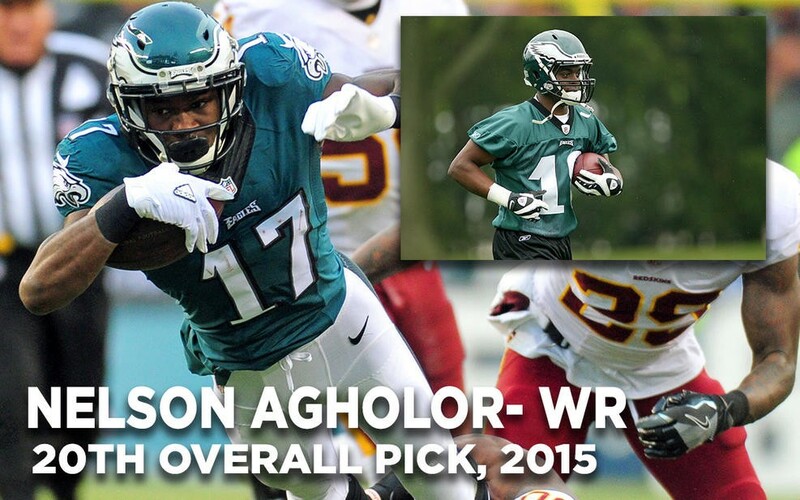 The Eagles selected the speedster out of USC with the 20th overall pick in 2015. Agholor heard the boos from Birds fans this past season after drops and penalties plagued his performance. He finished the season with only 365 receiving yards and two touchdowns. He has yet to catch for more than 400 yards in a season, or play in all 16 games. It has taken time for the Eagles 2014 first round pick to grow into the pass rusher the organization had imagined. Smith was limited to just 8 games his rookie year, and recorded only 16 total tackles this past season. 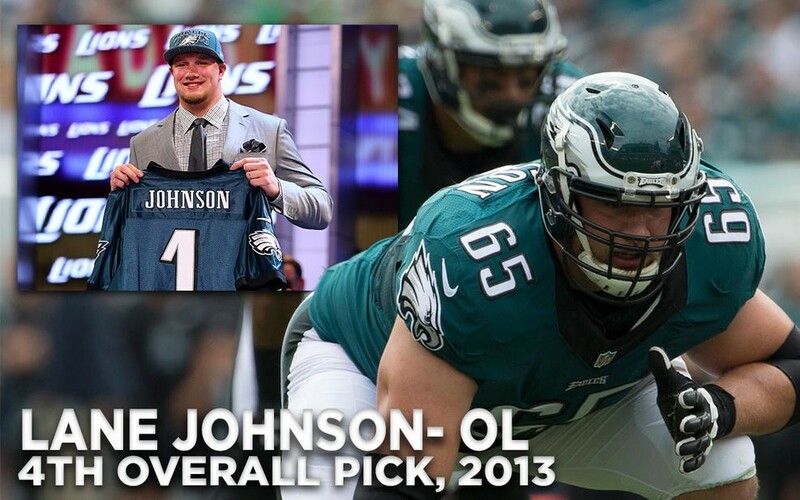 Johnson has been a force since the Eagles took him four years ago, but has faced his share of trouble off the field. Before his rookie year, he tested positive for PEDs and was suspended for four games. After signing a six year contract in October of 2016, Johnson again found himself suspended, this time for 10 games due to another PED violation. He returned to finish the season, and will be a key factor to protect Carson Wentz in the future. 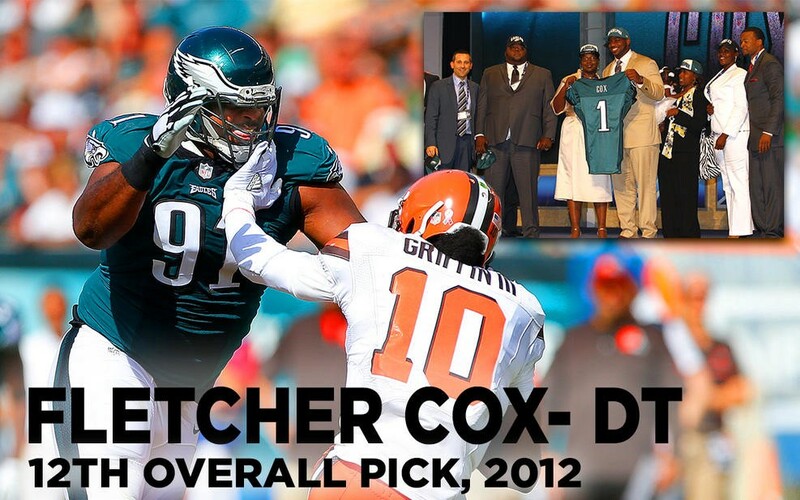 The Eagles traded up to grab Fletcher Cox 12th five years go. He has been a staple of the Birds defensive line, starting in all 16 games the past four years. Cox was named to the Pro Bowl in each of the last two seasons. In 2015, he emerged as a star with a career year, making 104 tackles with 9.5 sacks. He currently ranks 5th in Eagles history for sacks by interior lineman, racking up 28.5 during his career so far. Watkins was not the player the Eagles hoped he could become. At 26 years old, he was the oldest first round pick since 1971. After injuries limited his performance, the Eagles released Watkins before the 2013 season. After one year with the Dolphins, he reportedly retired from the NFL in 2014 to become a firefighter in Frisco, Texas. It took some time, but Graham cemented himself as one of the Eagle’s defensive leaders this past season. 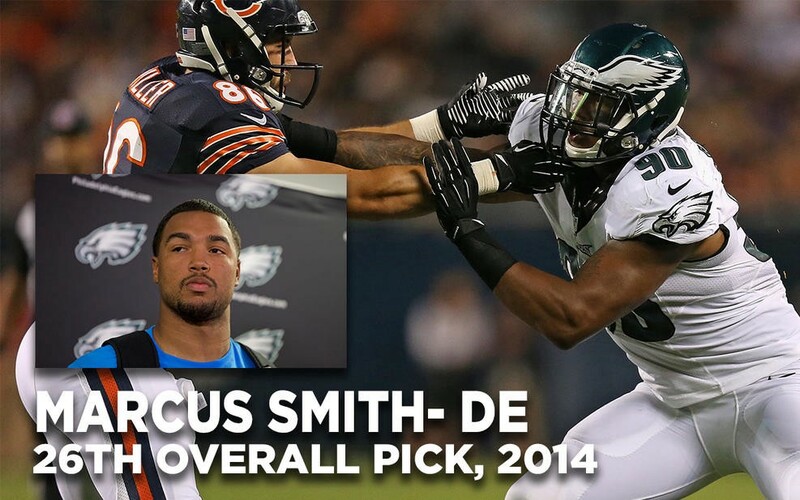 He moved to defensive end under new coordinator Jim Schwartz, where he learned to thrive. 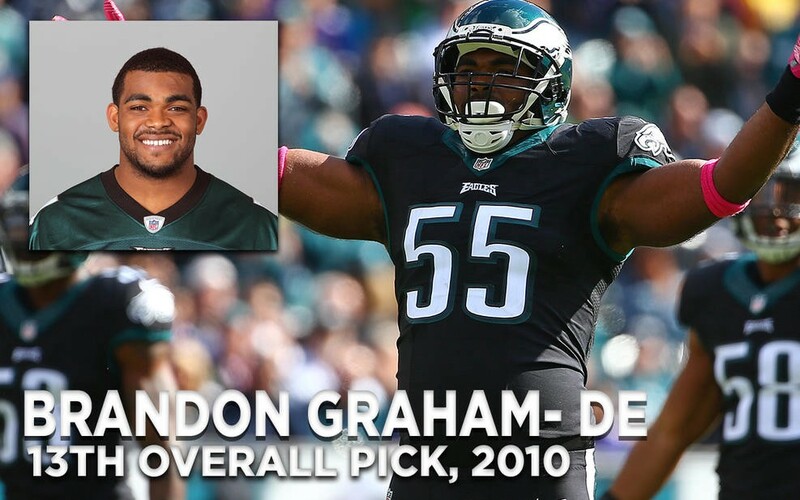 Graham played in all 16 games and registered 64 tackles with 5.5 sacks, and 14 tackles for loss. He was named a first team All-Pro in 2016 for his performance. Maclin was one of the Eagles’ top receivers during his 5 year tenure in Philadelphia. In 2010, Maclin broke the Eagles record for receiving yards in a playoff game, when he racked up 146 yards and a touchdown. 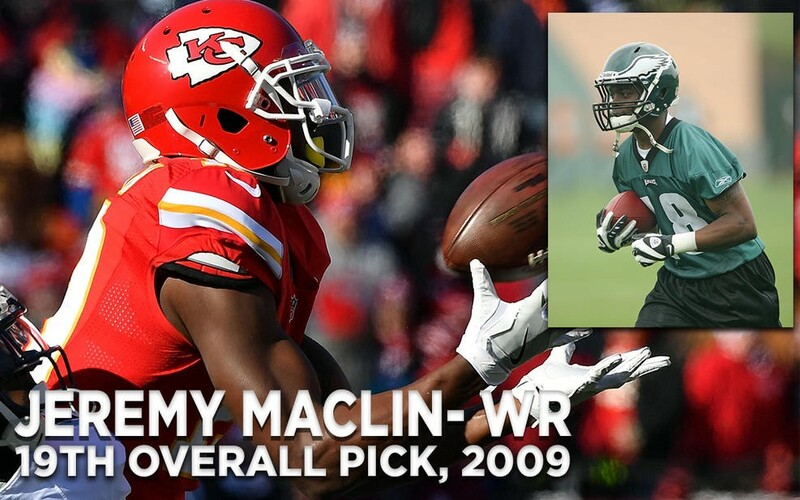 As the primary receiver in 2014, Maclin caught 85 passes for 1,318 yards and 10 TDs and was a late addition to the Pro Bowl. Maclin signed a five year contract with the Kansas City Chiefs after the 2016 season, where he has caught 131 passes over the last two years. 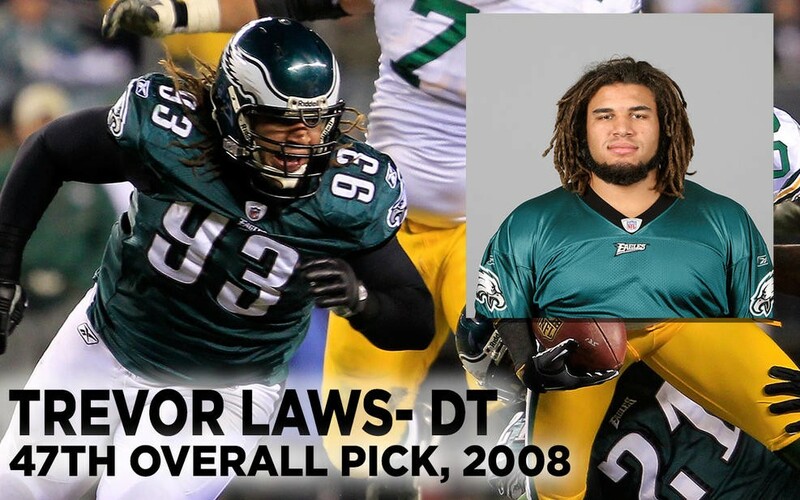 After trading their first round pick in 2008, Laws was the Eagle’s first selection. He appeared in 10 or more games in 2008–2011, but never made more than 20 tackles in a season. He signed with St. Louis for the 2012 season, but did not see the field and has since retired from the NFL. 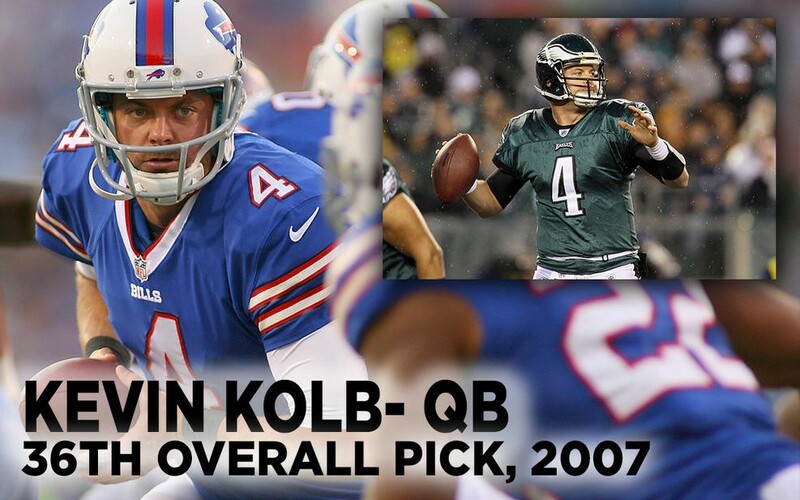 Kolb played sporadically behind Donavan McNabb during his first three season, and took the starting role when McNabb was traded to the Redskins in 2010. However, he suffered a concussion in the season opener and split time with Vick throughout the season. He spent the next two years on the Arizona Cardinals and then a year on the Buffalo Bills before enduring another concussion which ultimately led him to retire in 2014.